As you read this, your heart is faithfully working to pump blood throughout your body, beating about 100,000 times every day. Last month, we recognized Heart Month as a time to focus on heart health and adapting new heart healthy habits. Don’t wait until Heart Month comes back around to make changes to your routine. 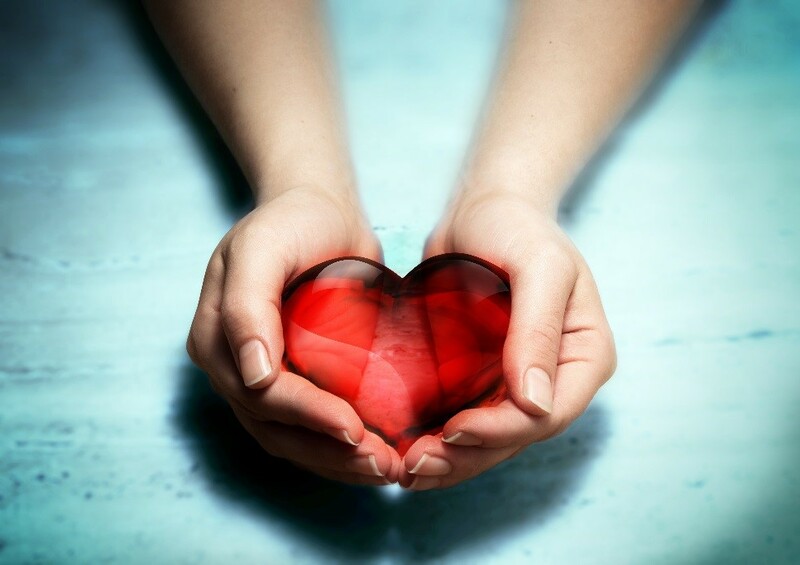 Make every month Heart Month and show your heart some love with these heart healthy tips. We all have important things memorized – bank pins, passwords and social security numbers – but what about the numbers that could improve your heart health? Total Cholesterol, HDL Cholesterol Flood, Blood Pressure, Blood Sugar and Body Mass Index (BMI) can help you and your doctor determine your risk for cardiovascular disease, and plan for your future. Write these numbers down or commit them to memory to help become more aware of heart health and begin the steps to a healthier lifestyle. The American Heart Association recommends that adults participate in moderate physical activity for at least 30 minutes, five days a week. With hectic work and family schedules, 30 consecutive minutes devoted to working out, plus added travel time, can be almost impossible to schedule. Some workouts, however, don’t require you to leave your house. On the days where you can’t go for a brisk walk or get to the gym, try streaming a workout in your living room or making a point to take the stairs. Many communities have resources to exercise. For example, the Aetna Foundation just honored Mecklenburg County, NC with the Healthiest Cities & Counties Challenge Spotlight Award for their efforts to provide free cardio activities with their Village HeartBeat program. Many of the foods you consume on a regular basis could be harming your heart. Foods that are high in fat and sodium can cause build up in your arteries, leading to high blood pressure and heart disease. Try adding aspects of the Mediterranean diet to your eating routine. According to the Mayo Clinic, this diet reduces the risk of heart disease and lowers your level of cholesterol. The Mediterranean treatment emphasizes eating primarily plant-based foods, like fruits and vegetables, replacing butter with olive and canola oil and limiting red meat while increasing fish and poultry. With spring just around the corner, take advantage of local farmer’s markets that will be opening their doors and incorporate fresh, healthy produce into your diet. The amount of sleep you get can play a big role in your heart health. Ongoing sleep deficiency is linked to an increased risk of problems like heart disease, high blood pressure and stroke (NIH). Surfing through the web on your phone, computer and tablet, or watching TV before bed can make it more difficult to fall asleep at night. The blue wavelengths that come from our screens are known to suppress melatonin, a hormone released to help our bodies fall asleep (Harvard). Establish a technology-free time and put down all gadgets at least 30 minutes before bed to help give yourself the best night’s sleep. Try reading, taking some quiet time, or getting organized for the next day. Garth Graham, MD, MPH, is president of the Aetna Foundation. In his role, Dr. Graham is responsible for the Foundation’s philanthropic work, including its grant-making strategies to improve the health of people from underserved communities and increase their access to high-quality health care. Dr. Graham previously served as deputy assistant secretary in the U.S. Department of Health and Human Services, where he also led the Office of Minority Health. His numerous achievements include implementing key health equity provisions of the Affordable Care Act and guiding the development of the first federal action plan to eliminate health disparities under the Obama administration. Dr. Graham is a widely recognized researcher, writer and editor on health disparities. He has authored articles that have been published in the Journal of the American Medical Association,Health Affairs and Circulation. He has served on the faculty of the University of Florida School of Medicine and Harvard Medical School. He has also served on a number of boards including Institute of Medicine Board on Population Health, World Health Organization Scientific Group on Equity Analysis and Research, Board of Directors of Physicians for Human Rights and he was appointed to the Federal Coordinating Council on Comparative Effectiveness Research. He was also named the Distinguished Millennium Visiting Scholar at Columbia University. Dr. Graham holds a medical degree from Yale School of Medicine, a master’s in public health from Yale School of Public Health and a bachelor of science in biology from Florida International University in Miami. He completed clinical training at Massachusetts General Hospital and Johns Hopkins where he trained in cardiology and interventional cardiology. He holds three board certifications including internal medicine, cardiology and interventional cardiology. He also serves as an Associate Professor of Medicine at the University Of Connecticut School Of Medicine.